Images Tomás Moya / Sailing Energy / Trofeo Princesa Sofia 2018. First day of racing for the Olympic Nacra 17 European 2018 season . Tita & Banti continue their drive performance from last year and lead after 3 races. 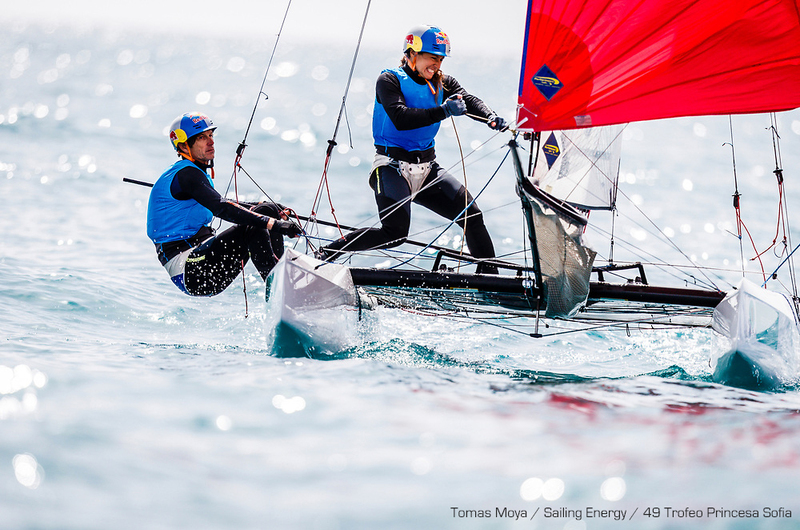 2016 Gold Medalists Lange & Carranza are also keeping the pace in foiling mode scoring 9,2 and a bullet on their fleet. Saxton & Boniface third overall. This is the Qualifying stage , Finals will separate Gold & Silver fleet. We don't see Billy Besson on the lineup sadly for Palma. 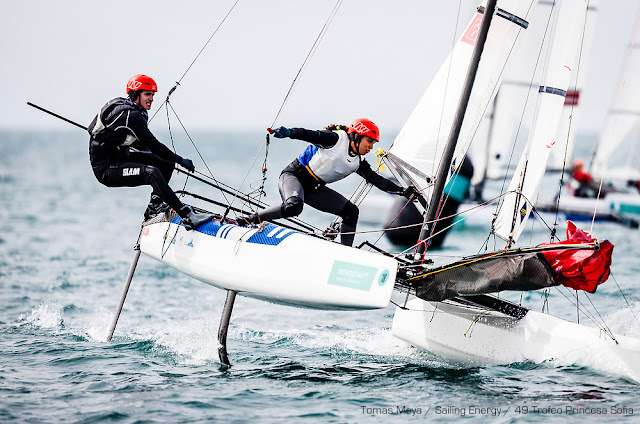 French sailors are well represented though by Moana Vaireux & Manon Audinet.